BEIJING - The number of elderly people in China is expected peak at 487 million in 2050, accounting for 34.9 percent of the total population, said an official with the National Health Commission Thursday. 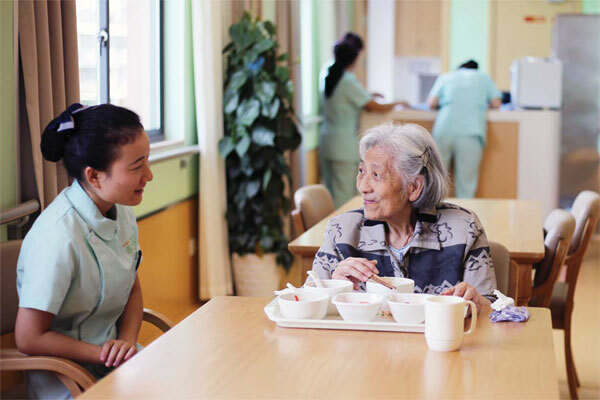 According to Wang Jianjun, also executive deputy director of the Office of the National Working Commission on Aging, the number of people aged 60 and above in China will reach 300 million by 2025, and 400 million by 2033. "The money spent on the elderly such as in caring and medical services will take up 26.24 percent of China's GDP by 2050, up from 7.33 percent in 2015," he said. Wang called for more aging-related education, saying that it would contribute to a favorable atmosphere for society to care about, support and participate in aging-related work. A circular on such education was released by the office and 13 other departments in January, illustrating the content of the education, in order to raise the people's awareness of an aging society. The number of people aged 60 or above reached 241 million in China by the end of 2017, accounting for 17.3 percent of the total population.